Suppose you are a small family firm – but you don’t run a convenience store – you make Champagne for a living. You do this because your parents did it and because your grandparents did it and because your great-grand parents did it. Your family has owned a substantial area of vines in the most famous winegrowing area in the world for generations. 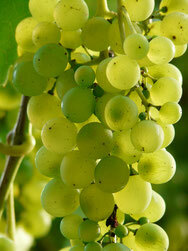 Originally your forebears were simply grape farmers who sold their produce to the famous Champagne houses. They probably took part in the famous champagne riots in 1910 and 11 when grape producers after several years of poor harvests learnt that the major purchasers were not only colluding to force down grape prices but also endeavouring to bring in grapes from outside the region. The village of Ay was set ablaze, houses pillaged and the Governor declared a state of civil war to which the government responded by despatching troops to restore order. Once the upheaval of the Great War was over, which it should be remembered included the occupation and destruction of large sections of the Champagne area, an increasing number of growers concluded that rather than be at the mercy of an avaricious buying cartel, a second more profitable string to their bow would be the production of their own Champagne. Getting the resources together to acquire the equipment and facilities was not easy. 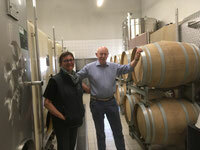 Pressoirs, vinification vats, racking and cellars are not cheap. Some resorted to the use of cooperatively owned plant, some simply shared with a neighbour, some scrimped and saved and borrowed to realise their own dream. 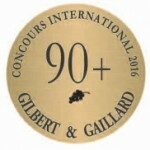 A century later in an era of plentiful cheap easy money when the wine industry worldwide has seen startling advances in technical capability, it is intriguing to come across a practise which remains both simple but laborious. A true labour of love. Remuage (Eng. Riddling). 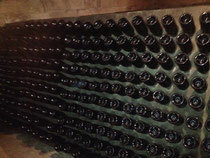 During Champagne production, with secondary fermentation is complete, the Champagne is aged in the bottle over a period of at least 15 months in a dark cool cellar. The bottles are stored horizontally and a crown cap fitted. The wine (its not really Champagne yet) interacts with the dead yeast cells (lees) in a process known as autolysis to provide the characteristic briochey, nutty flavour. The spent yeast collects in a slug in the middle of the bottle and needs to be coaxed down to the neck so that it can be removed (‘disgorged’ being the technical phrase) without stirring up a cloud. The bottles are removed from the horizontal rack (the ‘tirage’ and placed in the charismatic angled board with holes in it – a ‘pupitre’. The bottles are then turned by hand at regular intervals and inclined slightly more to the vertical. After about two months the bottle is vertically upright and the yeast neatly captured behind the crown cap already for the disgorgement. This process was automated back in the late 60s by the introduction of a device called a gyro pallet. There are moves now to include within the yeast microscopic grains which will attract the yeast and allow the yeast to be removed by a magnet. However the task of Remuage is still done by hand by the small volume Grower-producers of Champagne. Albeit, if you make 10,000 bottles a year and you have at any one time 30,000 bottles in your cellar the task of remuaging a year’s worth in time for it to be disgorged at a planned moment in time is still not insignificant. A member of the family, the family remueur, has to go down to the cellar twice a week and twiddle all the bottles scheduled for disgorgement. How do they know how much to twiddle and in what direction to twiddle? There is a cunning plan. On the top floor of the cellar there is a chalk board on which every rotational movement is recorded. Next to the board is the master plan which shows how much to twiddle and in which direction. So by looking at the picture opposite we can see that starting at the centre of what looks like a complicated diagram, the first move was an eighth anti-clockwise, followed by 3/8 clockwise, 5/8 anti-clockwise, 7/8 clockwise, 10/8 anti-clockwise. Simple and effective.